TypeCon2017 is about to settle into William Addison Dwiggins’ old stomping grounds of Boston, so it can be expected that there will be several WAD-related events to mark the occasion. 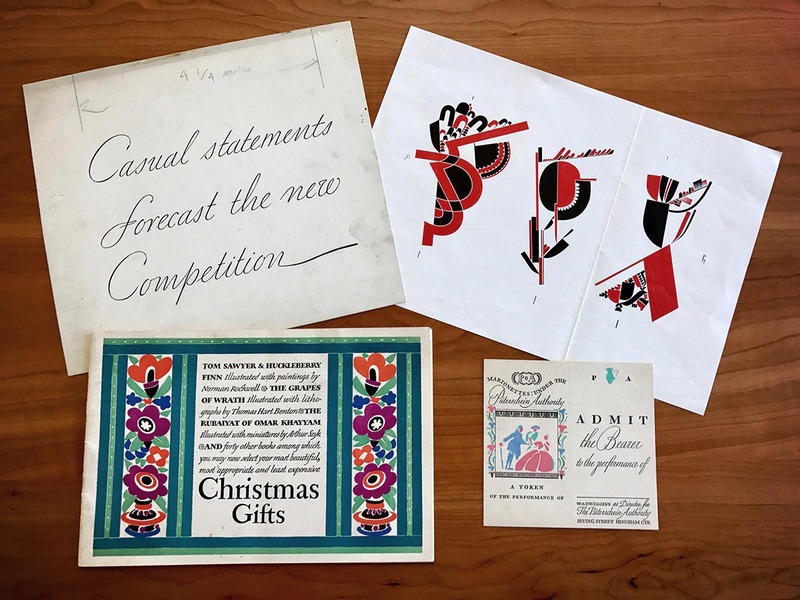 Not only is Bruce Kennett giving a presentation entitled W. A. Dwiggins, Hermann Püterschein, and the Fictional Society of Calligraphers, but our good friends at Letterform Archive have put together a fascinating pop-up exhibition. Many of the unique and rare objects featured in Kennett’s presentation will be on display, along with other work of local and typographic interest. The Dwiggins pop-up is scheduled to open Friday, August 25th and will be one of several international exhibits presented during TypeCon at Boston’s Park Plaza Hotel. Previous postSpecial Presentation: Alex Trochut Next postThe Type Crit Rules!